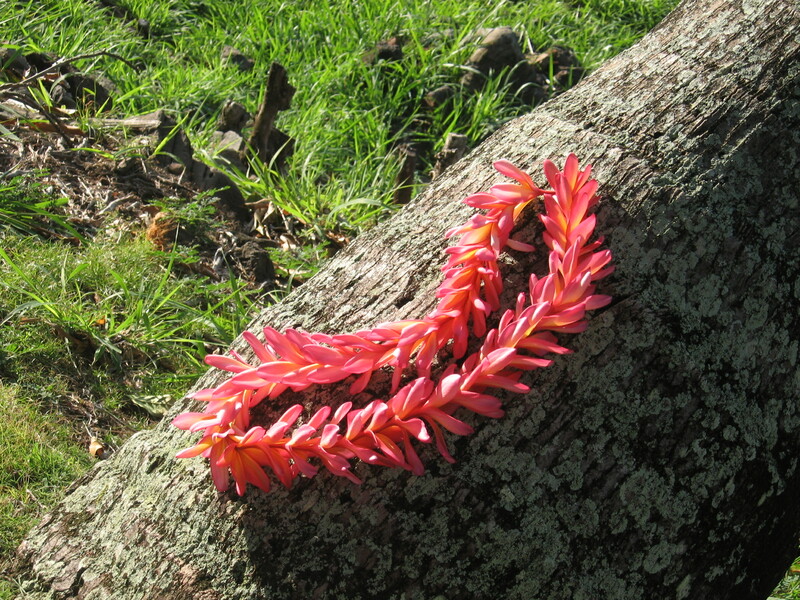 Making leis this morning, early, with the sunrise, before anyone else was awake. I enjoyed my quiet time listening to the birds and the roosters and watching the morning light play over the palms. Yesterday we drove out to the other end of the island to visit Papuhaku Beach. 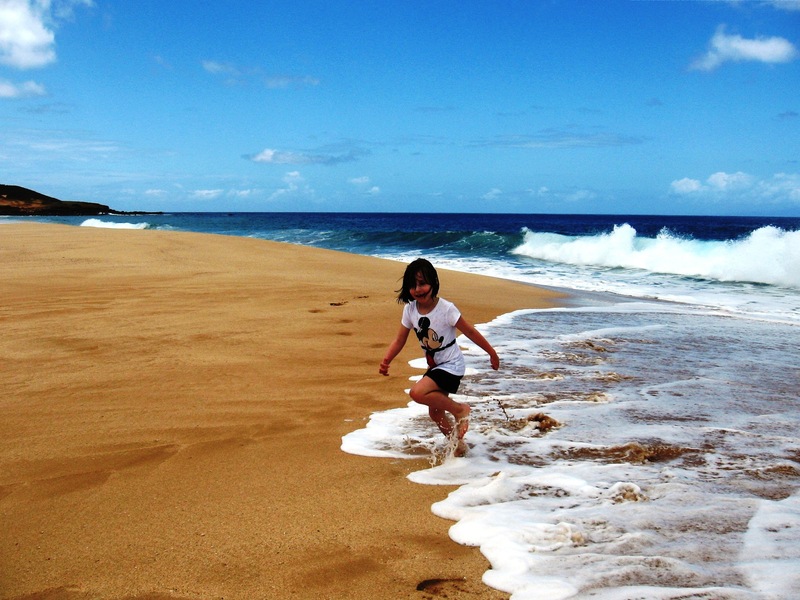 Papuhaku is a three-mile long, white-sand beach and the longest in Hawaii. We had the entire place to ourselves, does it get any better than that??? 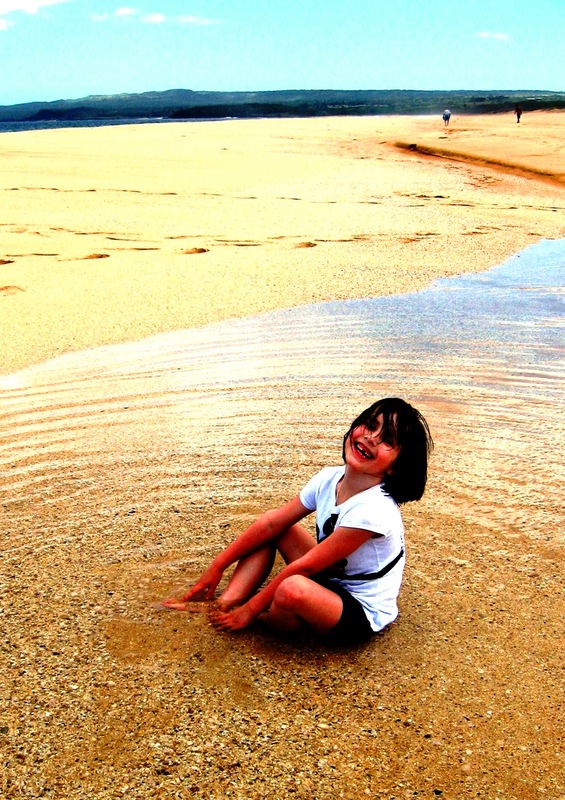 Mia splashed in a tide pool as the water is too rough to swim in. There were shells everywhere and I collected more thanI should have. We had lunch in Kalaupapa and I became completely obsessed with the outside of the restaurant…. 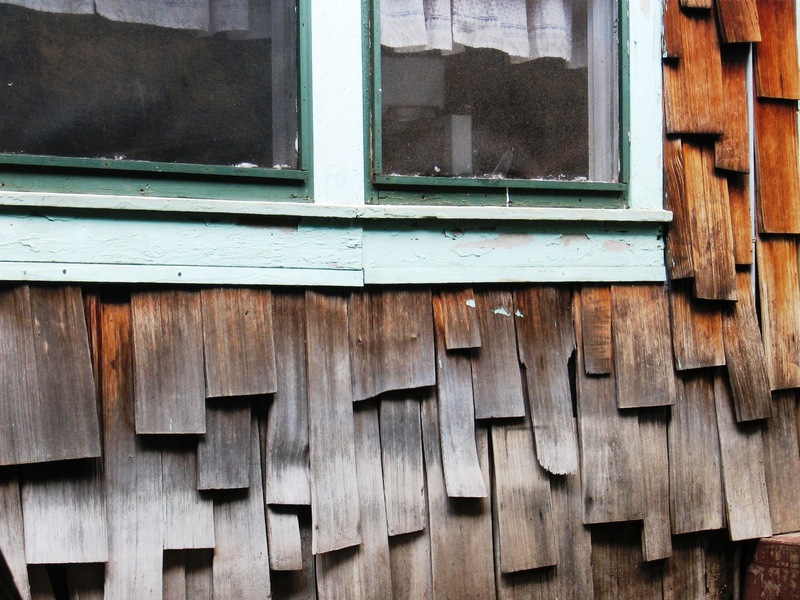 I just love how everything here is weathered and tattered and not the least bit polished up. We were wiped out and had an early night…I think I was napping at 5:30, woke up to make everyone dinner and back in bed by 7. Vacation schedule is starting to kick in…. too bad we only have a couple more days. I’d be aiming the camera at all the gorgeously aged sh-tuff too. Gorgeous pictures!! !